In U.S. v. Duran, the Eleventh Circuit ruled that a party claiming an interest in property subject to a government’s restitution lien has the right to have a federal court adjudicate on their claim under 28 U.S.C. § 3203. 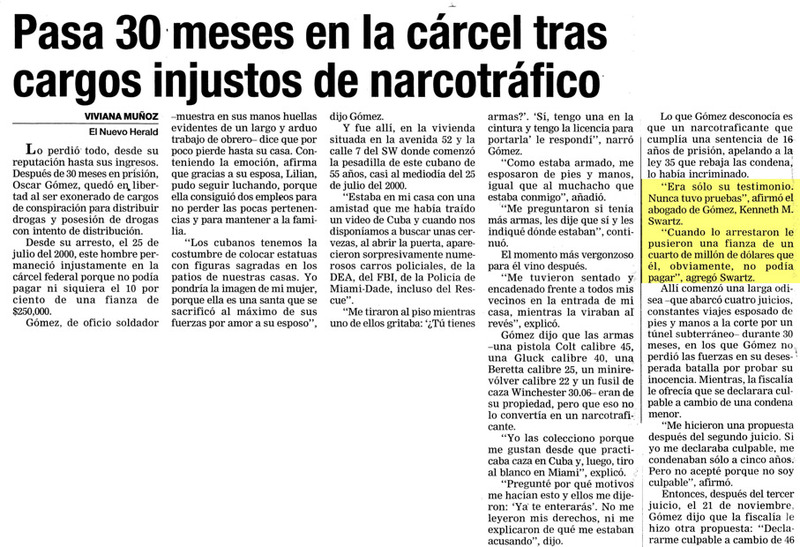 In this case, Duran was convicted in federal court in Miami of Medicare fraud and sentenced to 50 years in prison. In addition to his jail sentence the district court entered a restitution judgment against Duran in favor of the United States in the amount of $87 million dollars. The United States applied for a writ of execution against an apartment Duran owned to collect the judgment and the clerk issued a writ of execution. The writ ordered the U.S. Marshal to satisfy the judgment by levying on and selling the apartment. One month later, the Defendant’s ex-wife moved to dissolve the writ of execution, arguing she is an “innocent owner” of the apartment and requesting a hearing on the issue of her legitimate ownership of the apartment, the concerns over notice and due process, and her complete independence from the defendant, her former spouse. She alleged that she and Duran divorced in June of 2010 and as part of the divorce settlement he agreed to transfer his interest in the apartment to the ex-wife. In July of 2010 he executed a deed that conveyed his interest in the apartment to his ex-wife, and she retained counsel to properly record the deed in New York. Unfortunately for her, the attorney never completed the recording process and her deed was not recorded. The United States opposed the Carmen’s motion to dissolve the writ of execution and the district court denied the motion on the ground that it lacked jurisdiction to make findings with respect to Duran’s divorce dispute and corresponding property disputes. While the government agreed she was one-half owner of the property when the government recorded its lien, it argued that its lien took priority over her unrecorded claim to sole ownership of the property. The ex-wife countered that she was the sole owner and the government could not levy on the property. She claimed she was unaware that her attorney failed to record the deed. The Eleventh Circuit affirmed that the Fair Debt Collection Practices Act provides the civil procedure for the government to satisfy a restitution judgment in a criminal case, and the Act gives the government authority to levy on property owned by the debtor, including property jointly owned by another person. The government may levy on property co-owned by the debtor and another person to the extent allowed by the law of the state where the property is located. Furthermore the government must give notice of its application for a writ of execution to any persons who have an interest in the property. The district court must determine ownership interest of the debtor (the defendant) and any persons who move to dissolve the writ (the ex-wife). The Eleventh Circuit concluded that the district court erred when it refused to adjudicate the ex-wife’s motion to dissolve or stay the writ of execution.